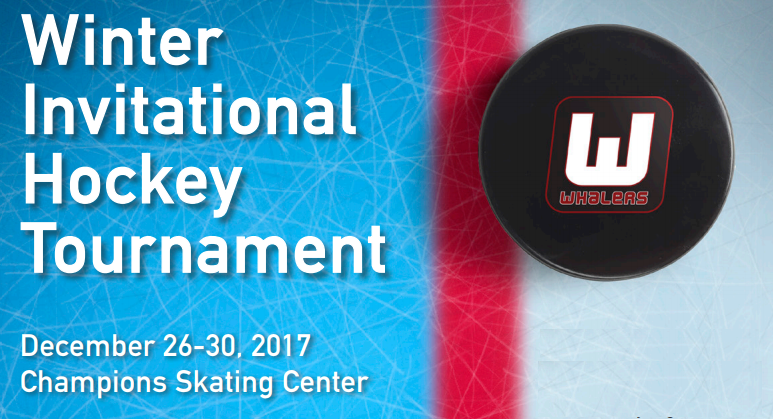 The Whalers organization is very excited for our Winter Invitational Tournament and Mite Jamboree from December 26-30, 2017 Champions Skating Center in Cromwell, Connecticut. The tournament consists of competitive matchups for Squirt and PeeWee teams and a Mite Jamboree. Schedules are available on our web site on the Tournament section. Upon arrival to the rink, please look for your team’s name on one of the locker room doors. We are looking forward to great hockey!